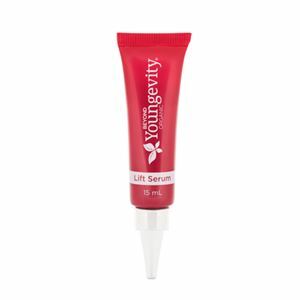 The powerful Beyond Youngevity Organic Lift Serum may help to prevent deep wrinkles and repair existing damage by strengthening the skin’s connective tissue. 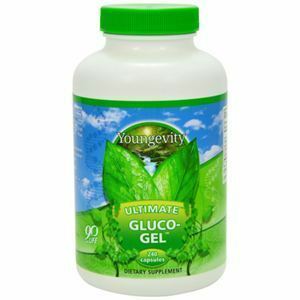 Ingredients are 100% certified Toxic-Free from natural, organic and wild-crafted sources. No animal testing. Improve your skincare regimen by adding a serum to your routine! 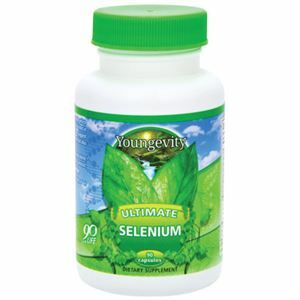 The Beyond Youngevity Organic Lift Serum's potent formula may provide intense firming action and concentrated anti-aging benefits. Directions: Gently massage the serum onto the face and pat it onto the eye area. Organic, Wildcrafted Botanical Infusion [Spring Water, Wildcrafted Carya ovata (Hickory) Bark Extract** (1), Phoenix dactylifera (Date) Fruit Extract*, Ficus carica (Fig) Fruit Extract*, Olea europaea (Olive) Fruit Extract*, Punica granatum (Pomegranate) Extract*], Sodium Hyaluronate (Hyaluronic Acid)**, Sea Vegetable Blend [Algae Extract (and) Pullulan**, Water (and) Polysaccharide (and) Ascophyllum nodosum (Kelp) Extract, Asparagopsis armata (Red Algae) Extract**] Water, Malachite Extract, Bambusa vulgaris (Bamboo) Extract, Pisum sativum (Pea) Extract, Glucosamine HCl (Plant Source)**, Cellulose Gum (Plant Thickener), Citrus aurantium amara (Neroli) Flower Extract*, Botanical Preservation System [Lonicera caprifolium (Honeysuckle) Flower Extract, Lonicera japonica (Honeysuckle) Flower Extract**], Biomimetic Peptide Blend [Vegetable Glycerin, Water, Dextran, Caprooyl Tetrapeptide-3], Xanthan Gum** (1).